Vitamin and Mineral Supplements – Do we need to be them? There is no black and white answer to this question. Yes, some people do, and No, some people don’t. Many people misuse vitamins and minerals due to misconceptions regarding their health benefit. These misconceptions are more often than not sparked by clever advertising and marketing schemes. This is not to say there is not a place for vitamin or mineral supplements in our diets, as this article investigates. Many people believe that if the amounts of vitamins or minerals we get from food are good for us, then taking a concentrated form must be even better. This is definitely not the case, and vitamin or mineral supplements should not be seen as drugs or cures. High doses of supplements are usually not beneficial and should not be taken unless under medical advice from your doctor. For example, the fat soluble vitamins A, D, E and K are stored in the body, and if taken in large doses for an extended time, can have potentially harmful effects. It is important to note that when taken in supplement form, a vitamin is essentially coming in ‘alone’, without the other components that would accompany it in food form. This may have an effect on its absorptive capacity. In multivitamins, each vitamin or mineral is entering the body in large doses together, meaning they will be competing for absorptive rights. This is not to say they are not absorbed at all, but making a point that vitamin or mineral intake spread over the day in the food we eat will likely elicit greater absorption of particular nutrient compared to taking a multivitamin. Most people will get adequate amounts of vitamins and minerals through eating a healthy diet with a variety of foods from the five food groups. Nutrient supplements cannot act as a replacement for a healthy diet. If you are already consuming a variety of nutrients from a healthy and varied diet, there will be no additional health benefit from consuming a vitamin supplement. A vitamin deficiency would take months of very low level intake of the particular vitamin to develop, so even if you were to stray from a healthy diet for a short time your health will not suffer greatly. Vitamin supplements are useful when there is an identified nutrient gap that is not met by a person’s diet alone. There are instances where someone’s diet may not be adequate for extended periods of time, or there may be another issue affecting their vitamin status. In these situations, vitamin or mineral supplementation will be required. This includes pregnancy, lactation, those on long term restrictive weight loss diets or who are strict vegetarians or vegans, elderly people who have a decreased intake, those with malabsorption such as Coeliac disease, Crohn’s, Ulcerative Colitis, Cystic Fibrosis, persistent diarrhea and those who drink excessive amounts of alcohol. 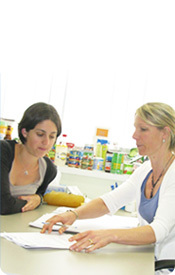 If your doctor advises you to take a multivitamin or a particular vitamin supplement, it is wise to consult an Accredited Practising Dietitian who can provide dietary advice on how to achieve healthy vitamin and mineral status through diet to eliminate the need for long term supplementation.